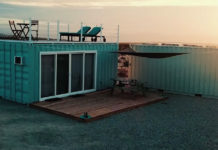 Shipping container homes have seen a huge surge in popularity in recent years. Subsequently, we’ve seen many new, talented designers and builders creating stunning tiny homes within these spartan steel shells. One such designer is Anthony Lopez of Alternative Living Spaces. 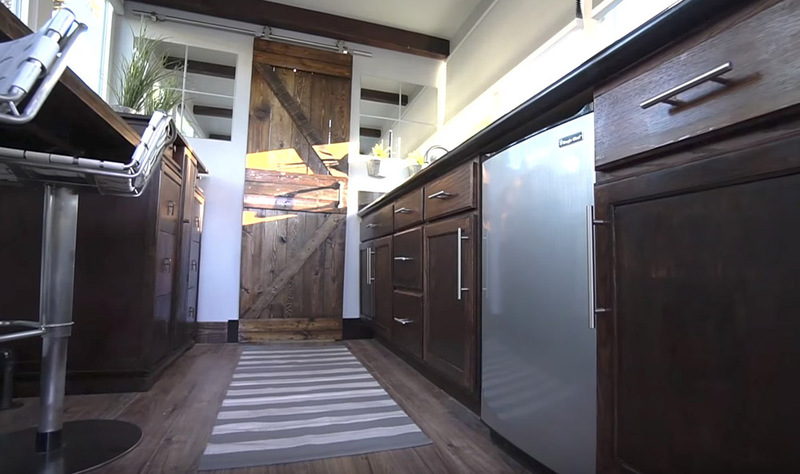 Anthony and his team built this impressive container home that is affordable for just about anyone at less than $35k. 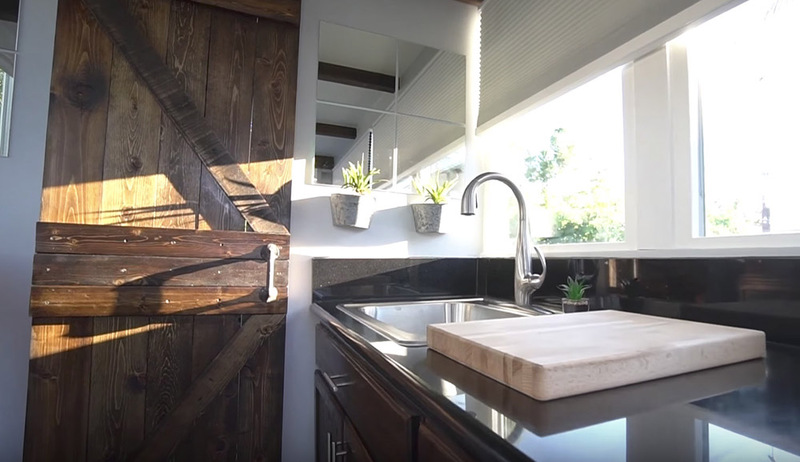 Before we dive into the details of this beautiful home, you may wonder why anyone would choose to live in a container when so many traditionally-built tiny house styles are available. This is a question that comes up often. 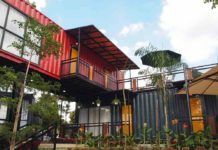 One reason containers make great homes is that they provide a strong, ready-made frame already equipped with three of a home’s most important components: doors, walls, and a roof. 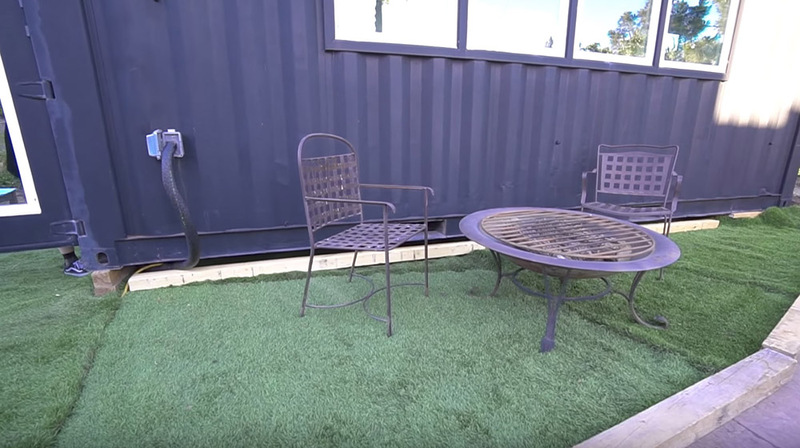 A 20 foot shipping container is the framework for this home, providing approximately 160 square feet of living space. 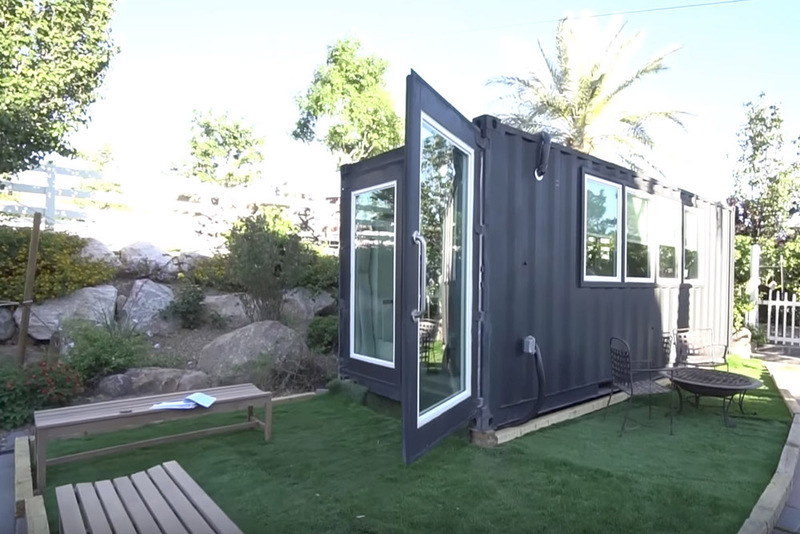 The first thing you likely notice inside this container home is how bright and open the space is. I am a huge fan of big windows in tiny houses, and I am an immediate fan of any designer who takes a dull, grey steel box and makes it look like THIS on the inside! 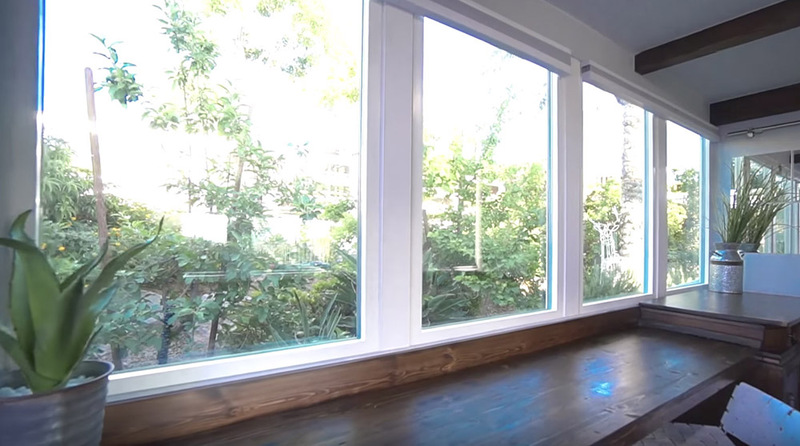 Can you imagine enjoying your surroundings from within this space? 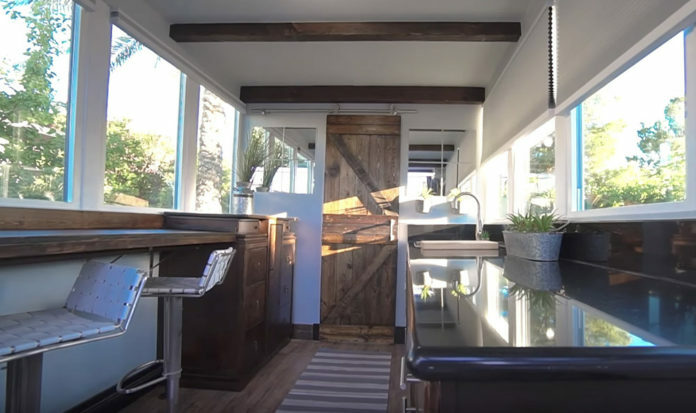 The original 8 1/2 foot wide doors on the container were converted to top-to-bottom glass doors. They are beautiful and let in abundant light, a feature so important in creating the illusion of a large space in a small home. 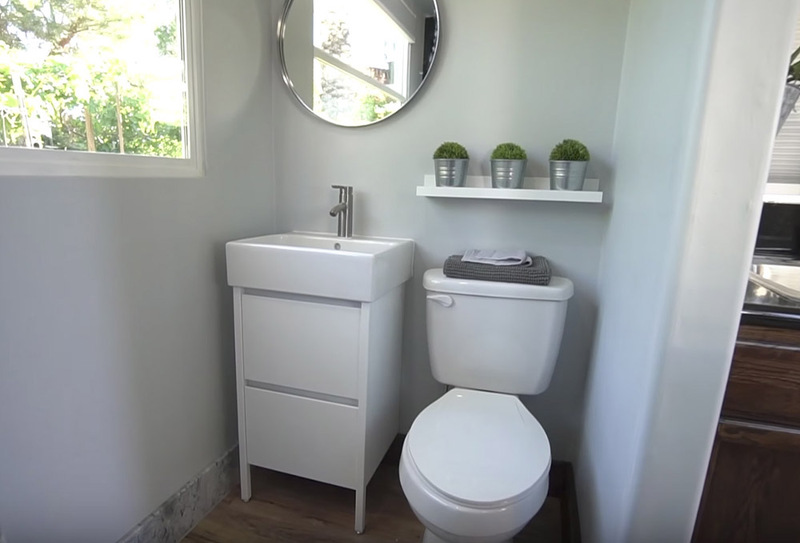 The doors open completely to sit flush against the sides of the container. Just inside the doors sits the living room/bedroom area. A murphy bed folds down for sleeping, and during the day folds up to provide a seating area from which to relax, watch television, or enjoy the outdoors. The curtains close off the windows for privacy, or open up to enjoy the view all night long. The spacious kitchen is finished with a stainless steel sink, stainless steel cabinet pulls, and under counter stainless steel fridge. Beautifully complementing these are the black granite countertops and backsplash. Five solid wood beams on the ceiling add additional strength and character to the home. The wood bar top functions as an eating space or workspace. An industrial piping foot rest resides below the bar top, along with a pole that doubles as a place to hang clothing. A restored 1930s dresser sits at the end of the bar top, providing occupants storage space for clothing and other necessities. 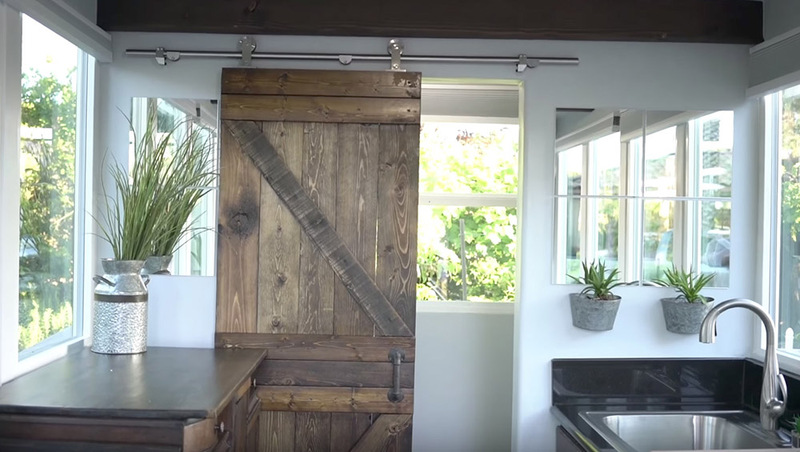 One of the most attractive features within this home is the sliding barn door that opens up to the bathroom. It perfectly blends the industrial and modern styles found throughout the home. 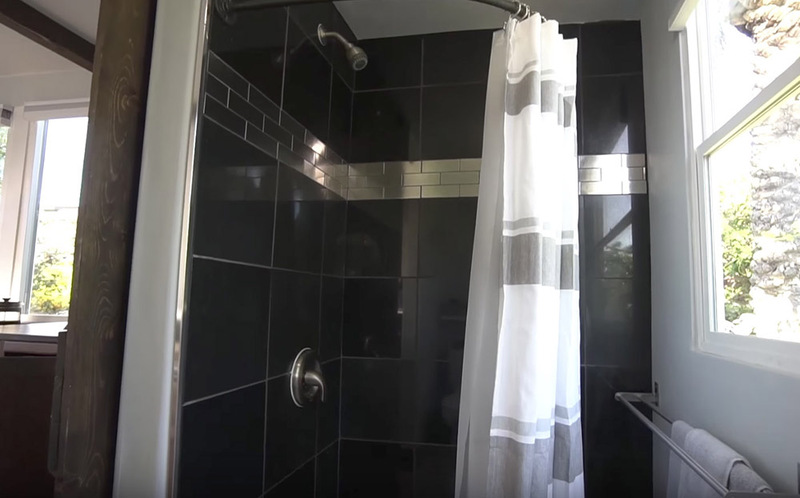 In the bathroom, the full sized shower is finished in the same black granite as the kitchen counters, with stainless steel accents. Opposite the shower sits a modern sink with storage areas, the toilet, and additional storage above the mirror. 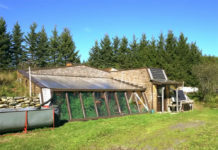 This home sits directly on the ground, as wheels are generally unnecessary on a container home. Containers are easily transported on a truck or flatbed, depending on their size. 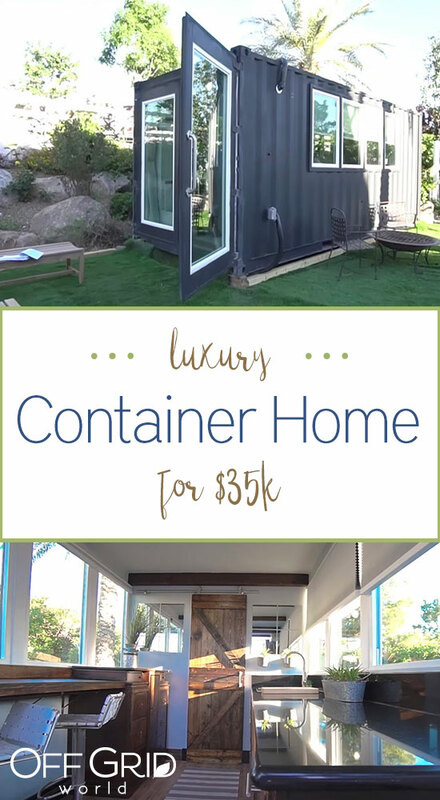 Because of this, most container home builders will ship to buyers just about anywhere. 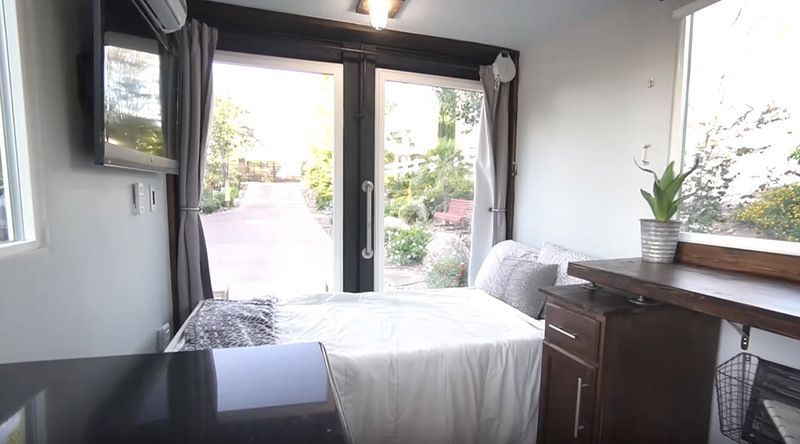 At a current price of $34,999, this beautiful starter tiny home won’t break your budget. It would also make a fabulous guest house, office, or studio.